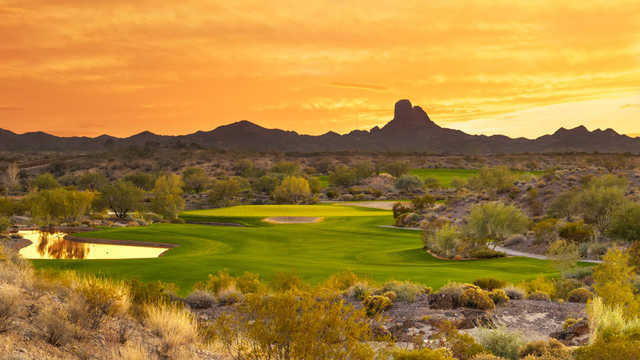 Wickenburg Ranch Golf & Social Club is in the heart of some of Arizona's most dramatic Sonoran Desert terrain, you would hardly be able to guess that you're only about an hour from Phoenix. The golf course tumbles across rolling hills, stretching to more than 7,000 yards from the back tees. 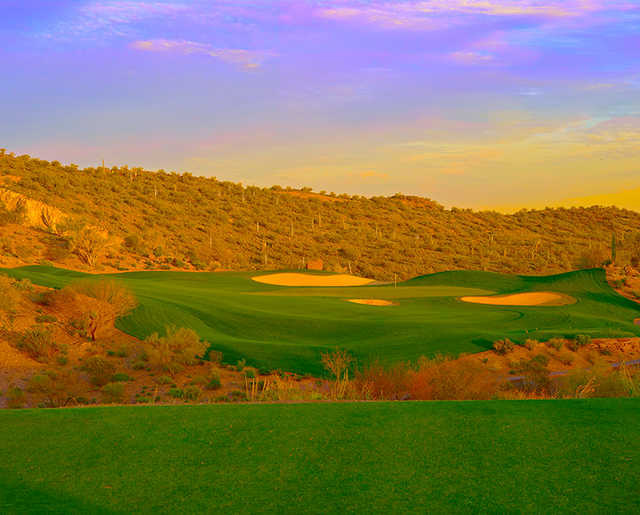 Each hole provides a different challenge thanks to the fluctuating elevations, which are complemented by strategically placed bunkers. You won't find too many water hazards but you're in for a challenge where it does come into play. One of the most notable water holes is the par-3 13th, which has a massive lake hugging the right side of the green. It's followed by another water hole, a par 5 with ponds on either side. 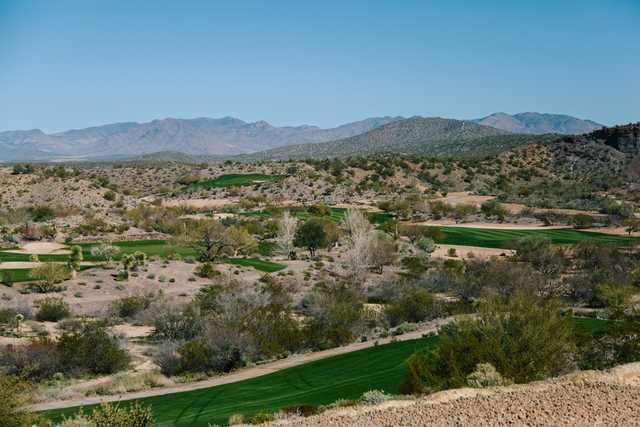 The appeal of the golf course goes beyond the challenging layout, Wickenburg Ranch offers scenic views of Vulture Peak and Prescott National Forest as well as mild temperatures almost year-round. Guest Policy: With member only. Limited non-member play. 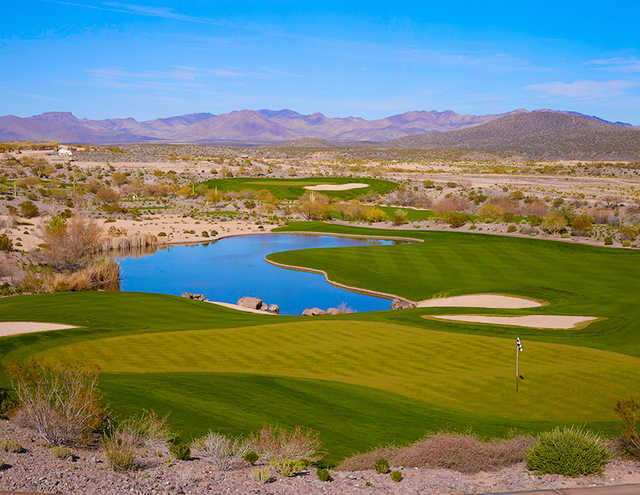 Best course in the valley. It starts with a dynamic work force from the moment you leave your car until you are packed up and ready to leave. Outstanding conditions. 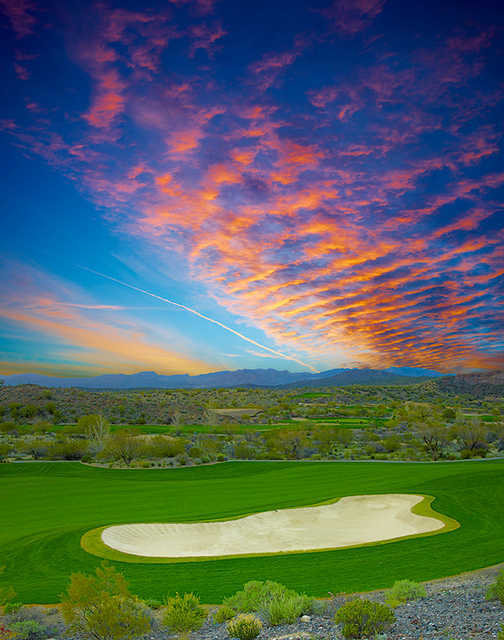 The course is playable for every level of golfer. Large wide fairways and very large size greens. The greens are in no question the most magnificent in the valley. The greens are fast but roll very true. I cannot wait to go back. and it does not matter that I play there at least once a week. It never gets boring. Both the professional staff and the golf course are 5 star. WR is a great layout with fantastic views, and large, fast,fabulous greens but it is not the type of course I would want to play everyday. The greens are so large that your GIR stat here is meaningless. Many 3 and 4 puts are not out of the question for the high handicappers. Also if you like to walk, this is not the course for you. Carts are mandatory due to the vast distances between some of the holes. Plus, the carts presently in service at WR are old gas ones that are very noisy and stinky. You have to yell at your playing partner if you want him to hear you while moving in the cart. It certainly was not what I expected from a course marketing itself as top notch. All in all I enjoyed my round but would not consider joining or returning to WR for the reasons cited above. 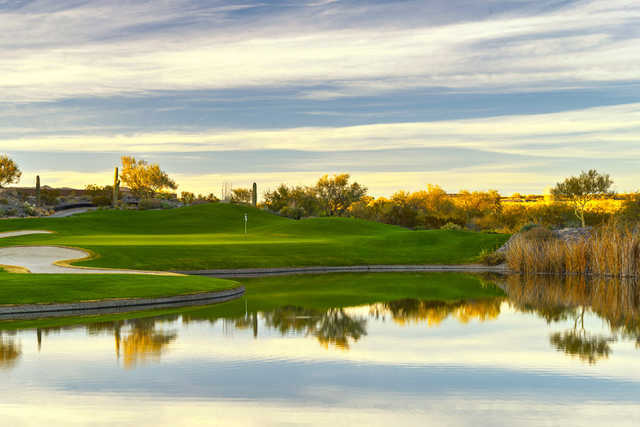 If 3 putting is your thing, you'll love this course. The course is very forgiving for the average golfer, was in good condition when we played. The greens are large and very fast. You can hit a nice shot into the green only to see the shot run all the way through the green and off the back. I'd recommend you play this course and judge for yourself. I probably won't made the trip out there again.